TRP is a proud member of the Corner Church Collective, a cooperative with three other local churches – Beacon of Light Seventh Day Adventist, Bethany Lutheran Church, and Community of Joy – that is dedicated to serving the Camden Avenue community in South Salisbury. Born out of a desire to see churches work together, the Corner Church Collective has intentionally broken down denominational walls in an attempt to bring about real, tangible change in our community. Perhaps the most noticeable result of this partnership has been the establishment of the Camden Community Garden. 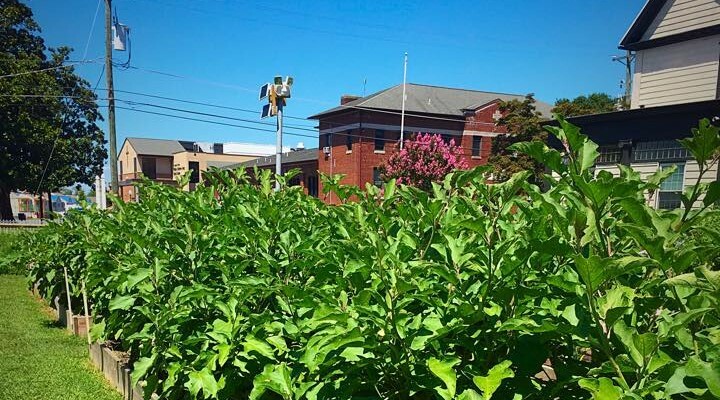 In addition to providing seasonal produce to local families, the strategic location of the Camden Community Garden – right next to the “Tot Lot” playground – has also allowed us to engage the kids of the neighborhood. We are using the Garden as the site for our “Summer Lunch at the Garden,” a free program that provides meals for kids (up to age 18) and planned activities, such as games, art, and educational activities throughout the summer. We are also currently talking to city officials about the potential for an afterschool program on Camden Avenue. It is in the early stages, but we are trying to dream big. 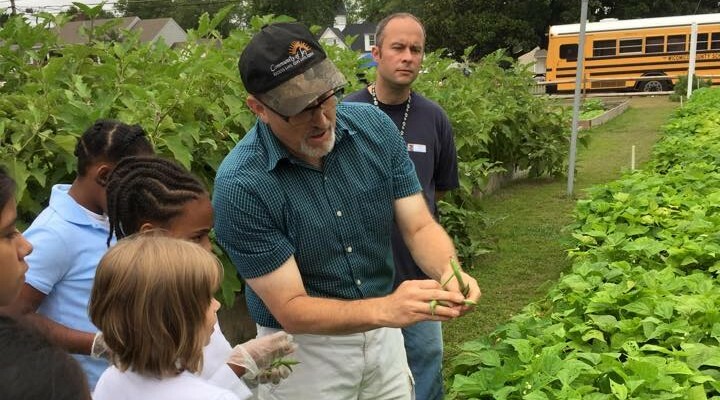 As Pastor Martin Hutchison of Community of Joy (pictured above) often says, there is more than just veggies growing in the garden. We are, therefore, hoping to capitalize on what has turned into a very fortuitous opportunity to help the youth in our area. We are also exploring the logistics of a summer feeding program for the Camden Avenue community. The Collective also partners each year with the Community Emergency Shelter Project, a local ministry that provides housing and meals for homeless men in the greater Salisbury area from January through March. Partnering in this effort has proven to be a great way for the four churches to intermingle, while uniting in a shared mission. Sadly, it has become an uncommon thing for churches to work together, but the Corner Church Collective is trying to walk a different path – one of mutual support and encouragement rather than competition. We truly believe that we can do more together than apart.